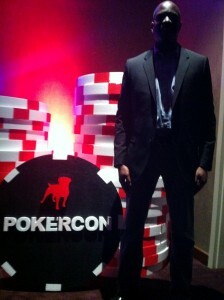 POKER CON? Lo Toney plays his cards close to the vest when questioned about Zynga’s entrée into casinoville and supposed disinterest in the future of real-money online play. Wall Street is buzzing about a coming Zynga IPO — set for December 15, according to the Huffington Post — and what it may or may not say about social gaming industry valuations and overall US economic health in a more-global internet age. Expected to raise at least $10 billion, this hotly anticipated initial public offering (one born of poker, mind you) could well be the biggest financial news in the history of our beloved little game. Big Casinos are paying close attention, of course. It’s a fine line these days between social gaming and online gambling, particularly in a multinational economy built on virtual currency. 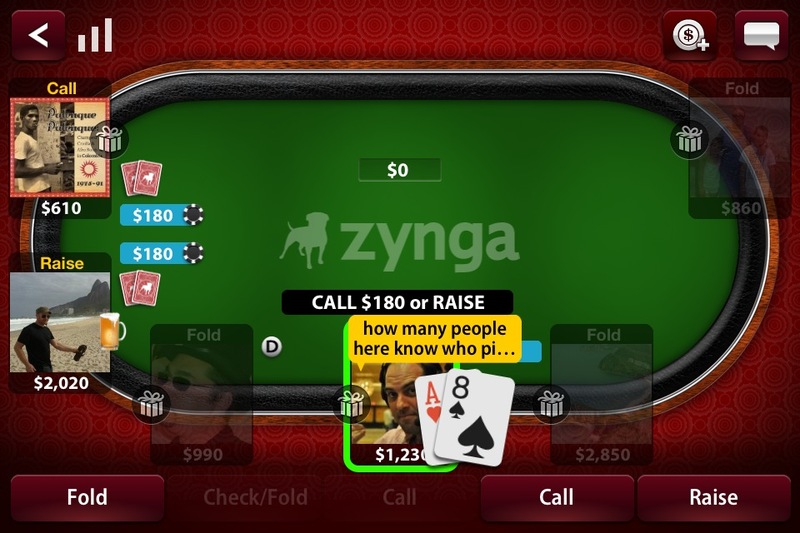 I spoke with Zynga Poker General Manager Lo Toney a couple weeks ago … he wouldn’t make “forward-looking statements” about the IPO, and as per usual denied any interest in the future of legalized real-money online gambling … even as the company announced further steps into the casino world. Toney had just two big developments to push — Zynga’s second live tournament event (he was really excited about Zynga players getting to compete against newly crowned WSOP champ Pius Heinz) and the opening of the new Zynga Casino … starting with Bingo, remade to appeal to grandmothers and the “younger generation” alike, he says. But beyond the promo that usually would have little appeal to a grizzled old Poker blog like Pokerati, we did at least get to touch on the recent removal of tobacco (and water bongs) from the Zynga gift shop, my personal addiction to the Zynga Poker iPhone app, and the advantages, challenges, and social responsibilities that come with being able to market your poker (and now casino) games to 13-year-olds. Even if Toney is totally sincere about Zynga’s indifference to the possibility of legalized online gambling in the future, brick-and-mortar casinos are still actively trying to emulate Zynga’s social gaming success. No wonder the company appears so well-suited for such a big investment in the next generation of poker player and casino patrons as they come of age. Yes, Zynga is very popular and generates good revenue but it is totally dependend on social networks like Facebook. 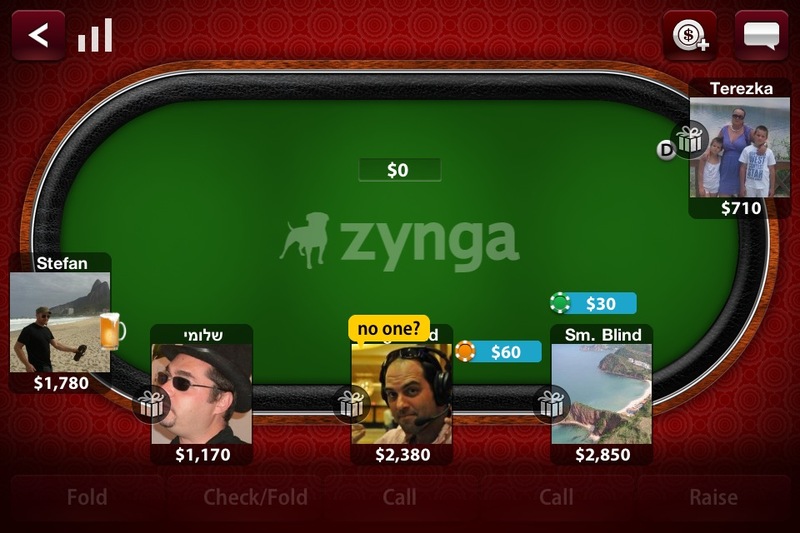 What if one day Facebook decides to forbid Zynga ganes on their website? The company will have huge losses so Facebook owners can easily manipulate them. @CasinoGrinder:disqus You make a really good point. 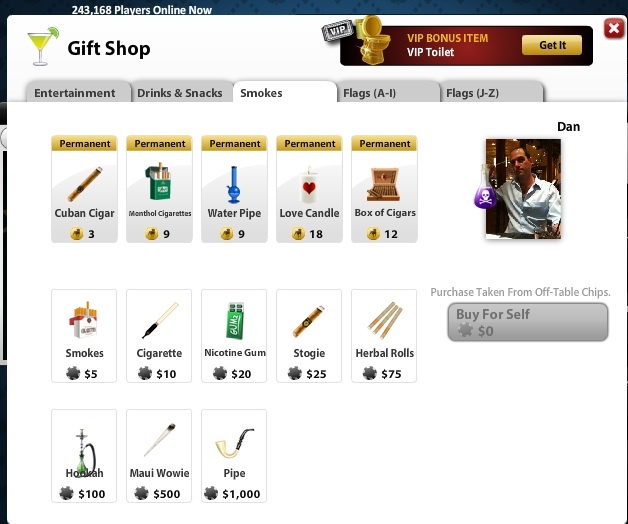 Im going to assume that Facebook wont want people playing real money poker through zynga, as it could reflect badly on them as Facebook (who is nearing the 1 billion monthly users mark) wouldnt want children to be able to access this material.